Tasty Honkin Donair Ltd invites you to their establishment. This eatery cooks donair for 11$ to 25$. You can get there by bicycle and may pay by Visa, cheque and MasterCard. 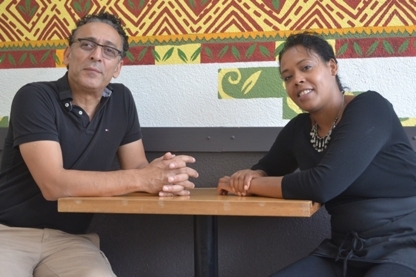 Donair Affair invites you to their dining room. Explore a menu featuring donair. They are conveniently accessible by car. Come taste an appetizing dish at Donair Affair. Explore a menu featuring donair and can get there by car. Donair Affair welcomes you to their dining room. Discover a menu featuring donair and can get there not only by car but also by bicycle. Come savor a savory creation at Crispy Falafel. Explore a menu offering falafels and can get there by car. Come taste a yummy meal at Mediterranean Donair House. Discover a menu offering donair. They are open nightly from Monday to Saturday. Come savor a delightful meal at Donair Star. Discover a menu featuring donair. They are accessible by car. Donair Town invites you to their establishment. This eatery cooks donair. You can get there by car. They are positioned in a surrounding filled with parks. Come taste a yummy creation at Donair Ville & Cafe. Come recline on their terrace beneath the sun. They are open at night all week and are readily reachable by car. Donair Ville & Cafe welcomes you to their establishment. Discover a menu offering donair and recline on their terrace under the sun. You can get there by car. Come taste a savory dish at Donair Affair. This dining room cooks donair. They are open late all week. You can get there by car and can pay by Visa, cheque and MasterCard. 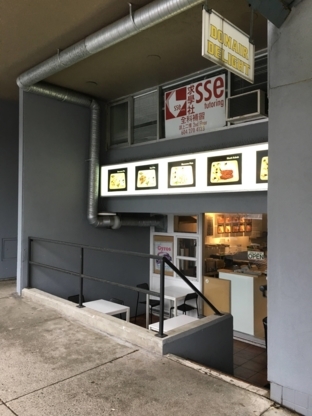 Tasty Honkin Donairs invites you to their dining room. Discover a menu offering donair, priced at 11$ to 25$ and can get there not only by public transit but also by bicycle. 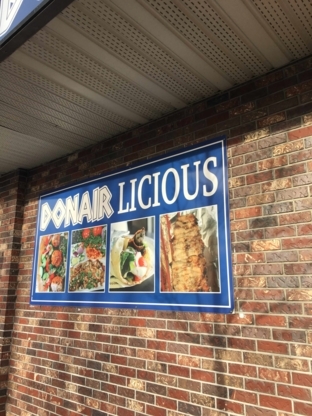 Come taste an appetizing meal at Donair Licious. Explore a menu featuring donair. They are open late all week and are reachable by car. Donair Town welcomes you to their establishment. Discover a menu featuring donair and can get there by car. They are positioned in a neighborhood filled with parks. Come enjoy a delightful creation at Uncle Moe's Donair & Platter. Explore a menu offering donair. They are conveniently accessible by car. 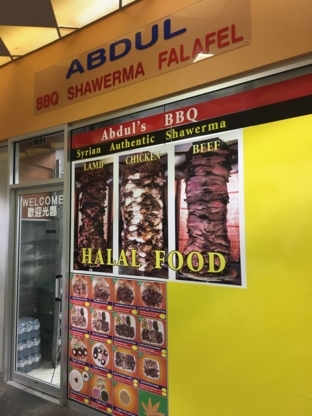 Shawarma Grill welcomes you to their establishment. Explore a menu offering donair. They are reachable by bicycle. Come taste an appetizing meal at Donair Affair. This establishment cooks donair. You can get there by car. Come taste a delicious creation at Donair Affair. This dining room features donair. You can get there by car. The neighboring area is remarkable for its parks and stores.